NEW 2 PIECE LOW PROFILE DESIGN: Adjust as needed - Use one or both! 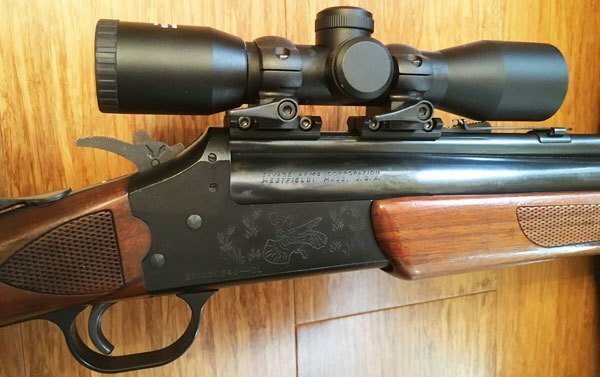 Finally, there's an alternative to the original Savage 24 Series open sights. Fits ALL .22 LR & 22 WMR over .410, 20 GA. and 12 GA.
Made from lightweight aircraft aluminum. Mounts securely into the two factory grooves cut into the upper rimfire barrel found on Savage O/U 24 C,D,F,&G models. RINGS and OPTICS as shown above are NOT included. Mounts are about 1.5" inches in length. FAQ: What rings are on the scope images?